Cydia store design hasn't been changed for a long time and it has received a lot of criticism over the last few years from jailbreak community due to its seemingly out-of style user interface. 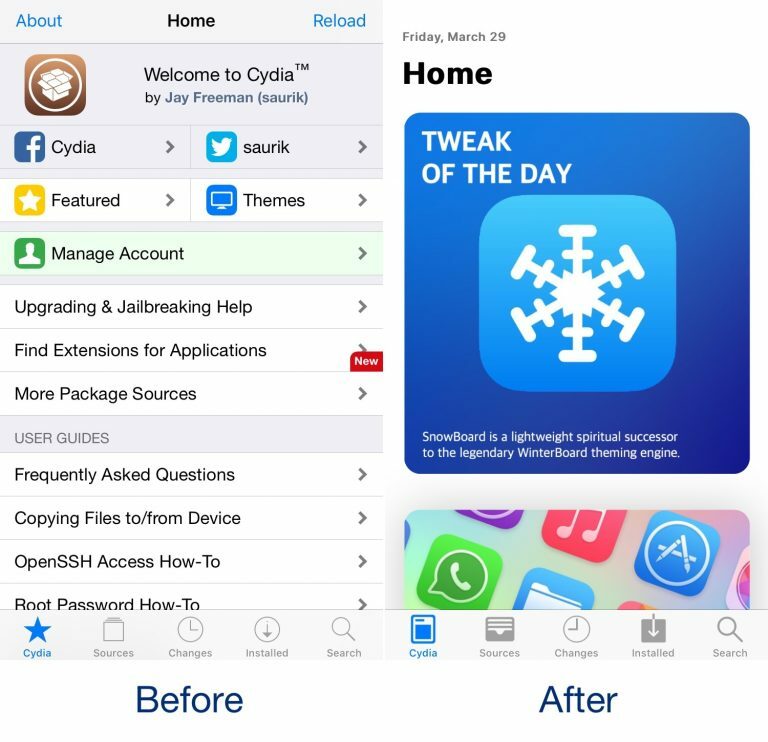 However, there is a newly released tweak called CydiaXIStyle 2.0. This tweak will change Cydia store look and gives it cooler design. As most of you know Saurik made Cydia store to be customizable to allow for Cydia-centric jailbreak tweaks. With that in mind, iOS developer iOSNJB took to the drawing board to produce a new release called CydiaXIStyle 2.0. While CydiaXIStyle 2.0 certainly appears to improve the overall look and feel of the Cydia app’s homepage, one gripe we do have with it is with the changes it makes to the tab bar icons, which seem large and clunky compared to the original. So what are you waiting for ? The tweak is available for free by downloading it from Cydia’s Packix repository and works on all jailbroken devices running iOS 7-12.